Chad Michael Murray Is Married to Chosen Co-Star Sarah Roemer! 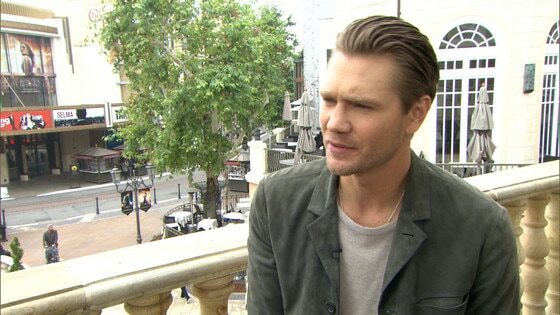 Chad Michael Murray has tied the knot with his Chosen co-star Sarah Roemer, the actor just revealed to E! News. The good-looking duo began dating early in 2014 and have been inseparable ever since joining the Crackle series. During a sit-down with E! News at The Grove in Los Angeles, the newlywed gushed about his new relationship status and explained why he keeps his private life so quiet. "I'm a romantic. I'm a family guy. I want that core," he shared. "I tend to keep everything quiet. I love my life. That's the part that I keep for myself." And while there are no details about the couple's secret nuptials yet, just last week Murray also opened up to us about his romantic side. "I'm a traditionalist, I'm a car door guy. I do everything I can to treat my lady right." Congratulations go out to the new Mr. and Mrs. Murray!